Some jobs need that extra bit of power or heavy duty machinery that you don't normally have access to. Hire it at NS Rogers. 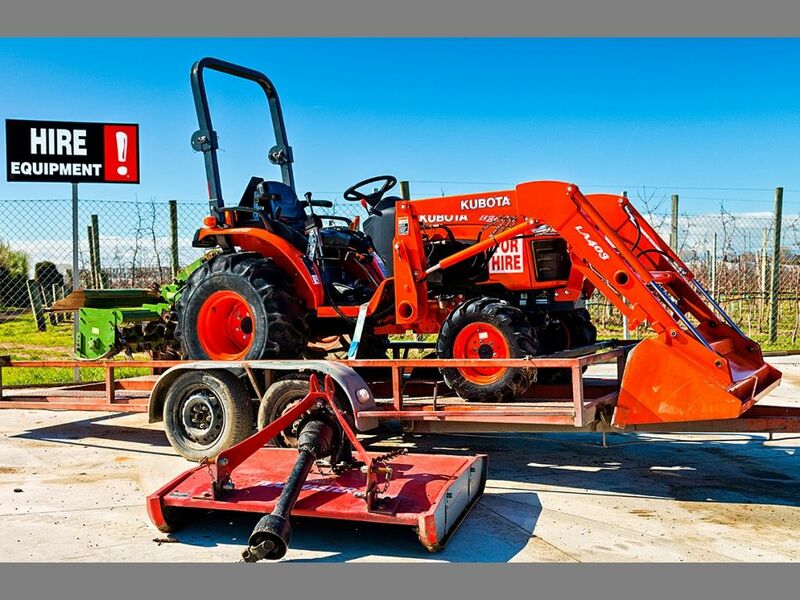 Three Kubota Diggers, 1.6 tonne with a variety of bucket sizes and three different sized augers (attachments for fence posts) and a newly arrived grab bucket that fits our two newer diggers. 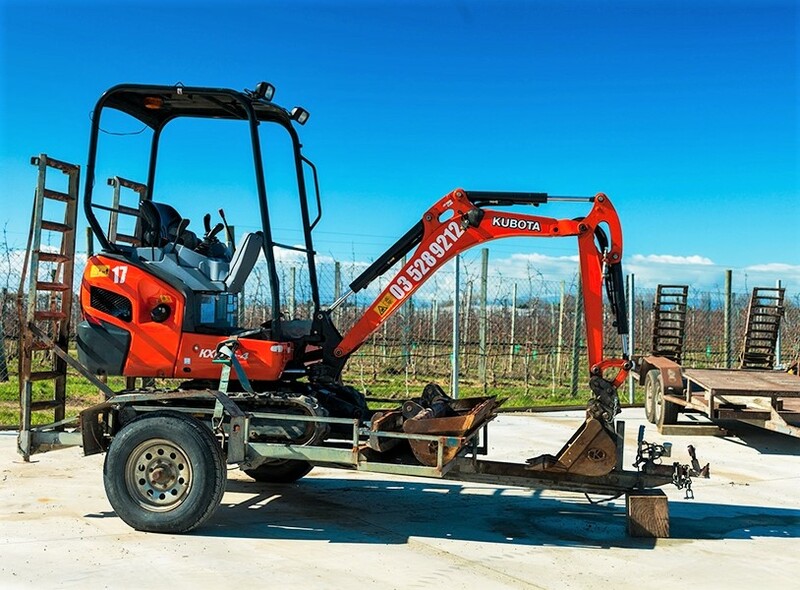 One Kubota 2.5 tonne Digger with a grab bucket attachment only. Please note that the towing vehicle for this digger needs to have a 3.5 tonne capacity. Contact Becky or Nathan if you wish to hire our biggest machine, on becky@nsrogers.co.nz or 03 528 9212. One Kubota 900kg Digger for those small jobs when you may have to go through a door or not have much room to move in. A Kubota 26hp Tractor with Front End Loader. 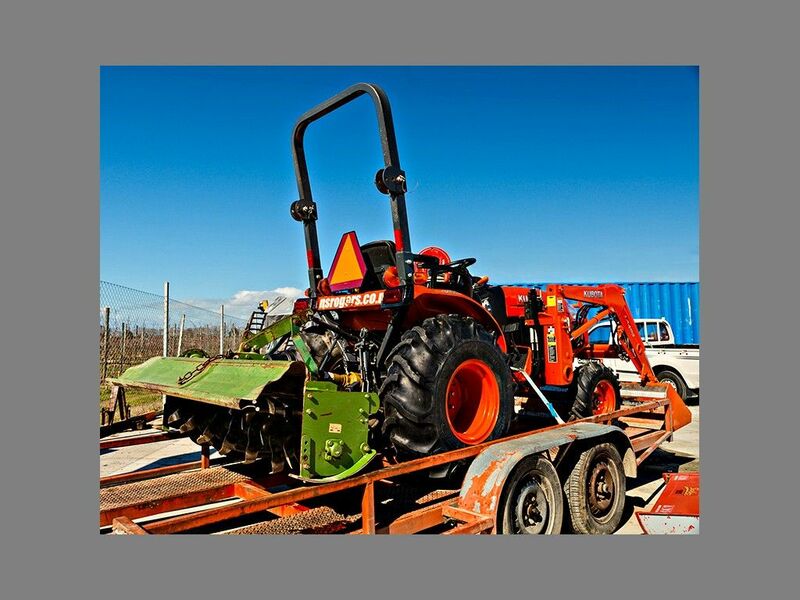 Available with mower, rotary hoe or levelling bar attachments. 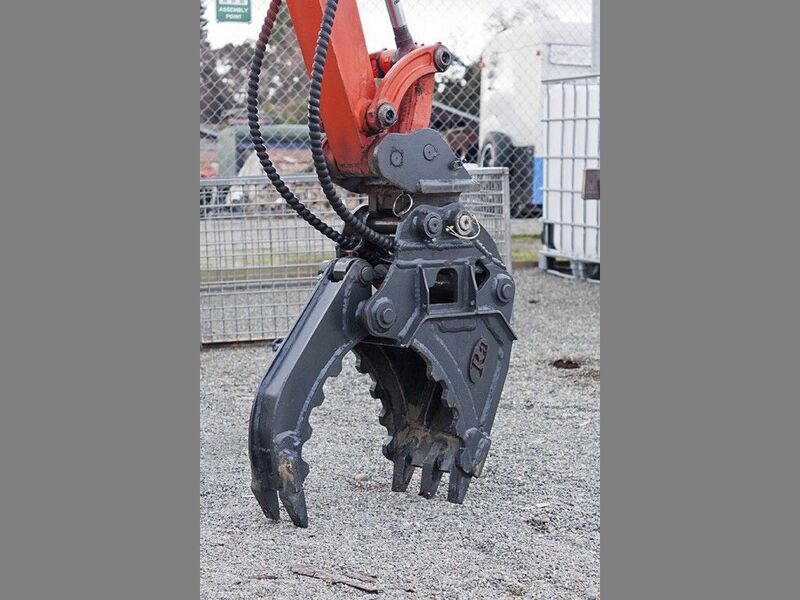 We also have a rock breaker available for experienced operators. Contact Becky for further information on 03 528 9212 or becky@nsrogers.co.nz. 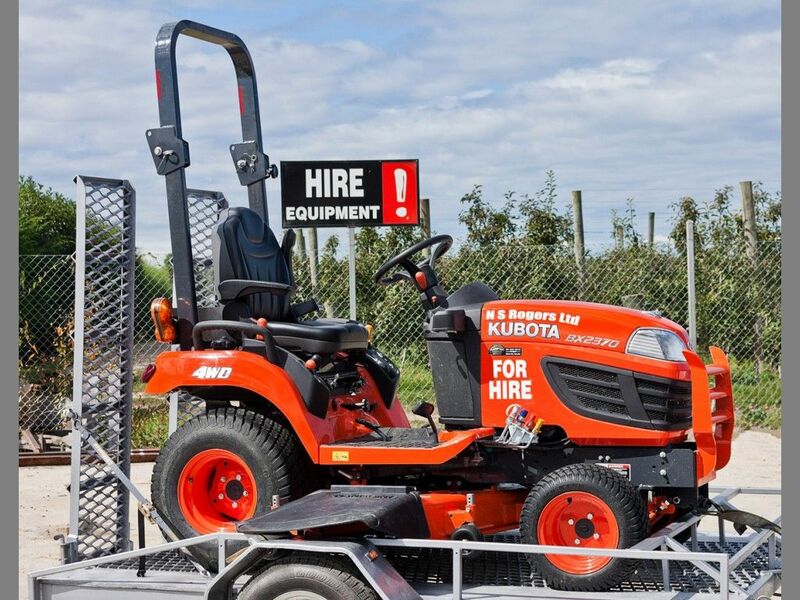 And don't forget our Kubota BX2670 Diesel Ride On Mower hire for smaller areas. 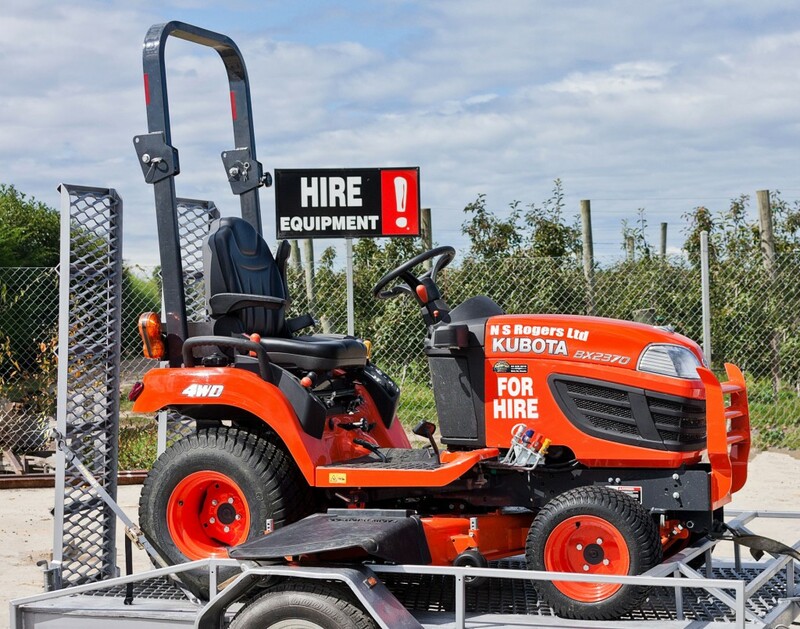 Our new ride on is a Kubota BX2670 Mower, with a 26hp diesel engine, 54 inch mower deck and hydrostatic transmission. It comes with a specially designed trailer for safe, easy useage. Call Russ or Janeen in the office on 03 528 9212 to make a booking or email the link below to make an enquiry. If you are in the right area, guaranteed to get you a feed of scallops! 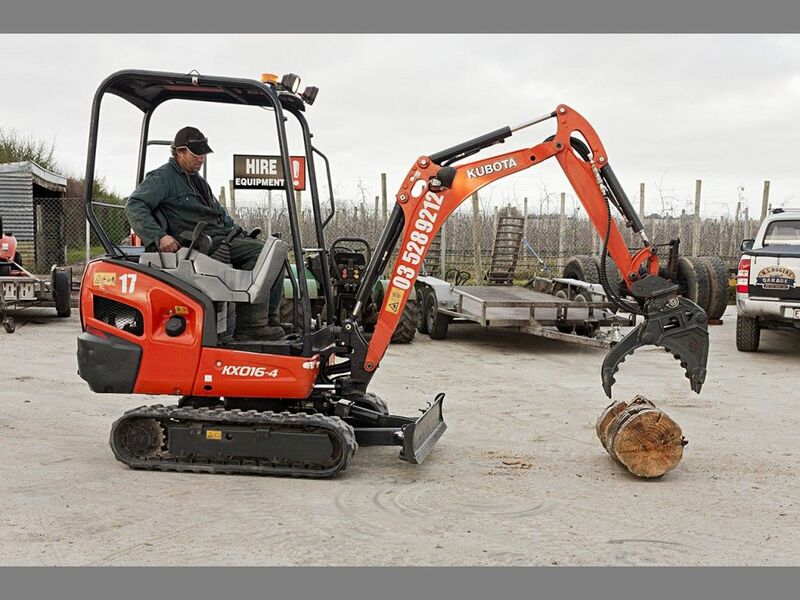 Wood Splitter Hire - 27 tonne - sort your fire wood in no time at all.